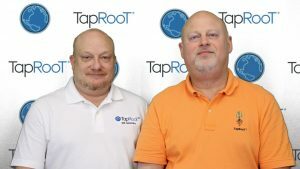 If you plan to attend the ASQ 2018 World Conference in Seattle, Washington on April 30 – May 2, stop by and say “hello.” Chris Vallee and Dave Janney (pictured left to right) will be at booth #301 discussing how TapRooT® can help you and answer any questions you might have. The first 500 visitors will receive a special prize, so do not miss out on your free gift! Stop by early to increase your chances in receiving a prize.